Later in this Muse I present some recent survey data that shows, once again, that most firmware projects are delivered late. But it is possible to create accurate schedules. And we know how to greatly reduce bugs and increase the quality of our embedded systems. In fact, there's a wealth of data that shows that quality and schedules are inversely proportional; improve quality and you'll get the product out faster. Learn this and far more at my Better Firmware Faster class, presented at your facility. See http://www.ganssle.com/onsite.htm for more details. Security is an issue that comes up in the Muse from time to time. Here's one company's take on the 20 best blogs devoted to these issues. An article in Spectrum sums up the opportunities for EEs. One telling quote: "By the end of last year, fresh electrical engineering graduates in the United States earned salaries that averaged US $73,078 - nearly $5,500 more than the prior year, making electrical engineering the top-earning engineering major as tracked by the National Association of Colleges and Employers." And "Particularly hot areas for American engineers include embedded systems engineering, control engineering, robotics, and design validation". I was particularly interested in this: "EEs can boost their attractiveness even further by shoring up their communication chops, says Kodi Verhalen, president of the National Society of Professional Engineers. And they shouldn't brush it off as a mere soft skill; it's become part and parcel of the EE's job." In the last issue I wrote about old oscilloscopes. Since then I stumbled across the Oscilloscope Museum which is worth a look. No history of Tek scopes would be complete without a mention of the ScopeMobile! Here is some info that might be helpful to anyone who wants to revive an old 500-series scope. Great timing! On Saturday, I took delivery of a Siglent 1202X-E 200MHz, 2-channel DSO. It's still in the box and I'm considering doing a video review because it's based on a Zynq Z-7020 SoC, which is one reason I bought it. (Amazon, $379, 2-day delivery.) The other reason I bought it is because I'm contemplating some hands-on work for my Xilinx blog and I haven't personally owned a scope since moving from Boston in 1999. Your call for stories brought back memories. 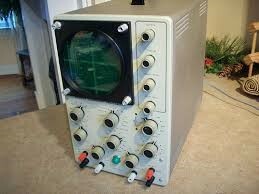 My first scope in High School was a Heathkit IO-18. I built it myself as part of my National Technical Schools correspondence school electronics training, probably in 1970. It was a tube scope (no transistors) and I suspect it was a 5MHz scope. My second scope, also in High School, was a borrowed Dumont with a tiny 1.5" or 2" screen. I borrowed it for the 1971 science fair and left it set up overnight. In the morning, I found a pool of melted wax under it and it never worked again. 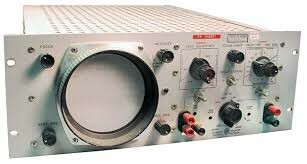 My third scope was another Heathkit, an IO-103 "fully transistorized" 10MHz scope, which was my first triggered scope. I built that too, in 1971. It was a better scope than the IO-18 but I preferred the feel of the IO-18. In college, I got a lab during my freshman year to try to complete a senior lab project that had not been completed the previous year. Armco Steel had contracted for a multichannel analyzer to bin the thickness readings of a steel roll. (This was just before the microprocessor appeared, so the design was 100+ TTL chips.) The design had poor power distribution (they used wirewrap wires for power) and virtually no power bypassing, obvious to my eyes even as a freshman with two correspondence classes under his belt, and it was therefore unreliable. I did what I could for it but it never worked well. I inherited an HP 120 scope with the bench. It too never worked well. That was my first brush with HP scopes. 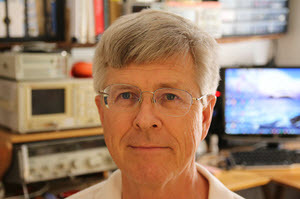 I joined Cadnetix in 1982 and the lab had a shared Tek 465 100MHz scope. Now that's a scope--the Cadillac of analog scopes for more than a decade! I have nothing but nice things to say about the 465. Great display. Superlative triggering. I'd have bought a good used one instead of my new Siglent DSO but the 465s are getting pretty long in the tooth; the tantalums in them are starting to fail; and who knows how many hours are left on the CRT heaters? I need a scope for troubleshooting, not a used scope to troubleshoot. (A bigger and more readable version is here). 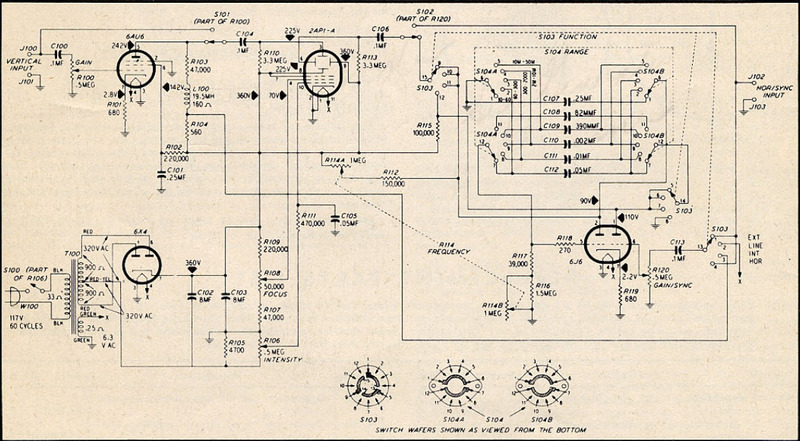 I find it fascinating to look over schematics of old electronics, where active elements (tubes and transistors) were relatively expensive. Today we toss a million transistors at a small problem; that wasn't an option not long ago, so some really clever engineering was used. For my tenth birthday (around 1969), my dad lugged home a 1948-vintage Dumont 241 "Oscillograph", with the stunning vertical response of 20 cycles to 200 kilocycles. For the first year or so, I had fun duplicating the Twilight Zone title sequence ("...We are now in control of the transmission. 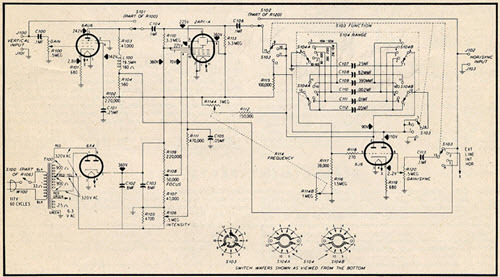 We control the horizontal and the vertical..."), but then I started playing with electronics (as opposed to "electricity" - the applications of switches, relays, motors, lights, and diodes), and started actually using it to troubleshoot my 40 watt-per-channel General Electric tube stereo amplifier. We didn't have much money, so a lot of my treasures came from thrift stores; in retrospect, fixing broken things contributed a great deal to my education. 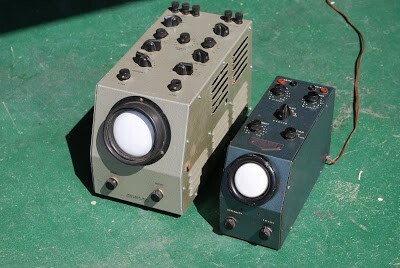 One day, I found a Heathkit "electronic switch", which magically transformed my 'scope into a dual-trace unit. I actually got pretty good at using the Sync control to get a stable waveform, and did a lot of useful things with that old 'scope. I was very envious of my physics teacher's Tektronix, with the brilliant blue trace and especially the response down to DC. The Dumont was my only 'scope until I got to college, when I bought a NLS (Non-Linear Systems) MS-215 "miniscope" (15 MHz dual trace, with triggered sweep, battery-operated with a 2-inch screen). I did get a summer job just before college working in a radio-TV repair shop (remember those?). --A digital voltmeter with Nixie tubes! 2.5 digits. Auto-polarity, I think. --A Heathkit 'scope that DID have triggered sweep. One of my neighbors pointed out to me that the input was protected by an impossible-to-find 500 mA fuse which protected a pluggable 741 op amp. Talk about misplaced priorities! I learned (when using the thing 10 years later) that the high-voltage CRT anode supply contained two 2500 volt electrolytic capacitors. The mix of high voltage and electrolytic capacitor technology makes for something very unreliable. I think I was able to find a capacitor the first time one failed, and I used another type capacitor (ceramic?) the second time. This version did have a 1-volt 1KHz test point on the front panel for calibration, and vertical and horizontal scales could then be changed by decade switches which were presumably accurate. Besides timing, there was a horizontal amplifier so we could learn about Lissajous patterns. --And of course the marvelous TV. There were a couple of notorious weak spots. I mostly remember the thermistor that took out a resistor in the vertical drive circuitry, and the bad connectors on the channel selector. But I digress. I returned to IBM after military service and retired at the end of 2013 after 45 years service. 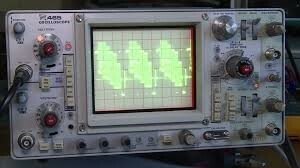 We generally had useful new oscilloscopes that had more function than we needed. An experience I still remember was in 1981 or 1982. We were debugging a complex IC we had designed with the not-so-great design systems of that era. We had the foresight to multiplex a 16-bit I/O register with a two-complex state machines (5-bit & 6-bit) so we could trace internals. The lab had a $25,000 Biomation logic analyzer that was always hogged by a loud, aggressive engineer. Poking around we found a 7000-series Tektronix which accepted four narrow plugins. (Enter Tektronix oscilloscope images in Google.) It had two analog vertical amplifier plugins and two horizontal time base units in it. If it was being used at all, it was just for simple analog work. And then we found (sitting on the shelf unused) was an 8-bit logic analyzer unit which spanned the center two slots. No one had ever bothered to learn how to use it! We made cables which went directly from the jacks on the plug in to the headers on our card. It worked perfectly--and no one else ever asked to borrow the scope. I still have a pair of Tek 7603 scopes. Still love them, but too bulky to drag around with me. 100Mhz workhorse, but little resell. Between the two there is one good one. Not much using them these days as horizontal sweep isn't stable. Still hard to beat for a decent analog scope. They have served me well for almost 40 years! Too heavy to ship, no local demand for them. My HP16500B logic analyzer still gets a workout. Full pattern generator and logic analyzer. Best is the 16532A 1Ghz scope plugin. You can find them for under $200 with that card with some hunting and patience. When is the last time you have seen a functional 1Ghz Two Channel scope for that price? 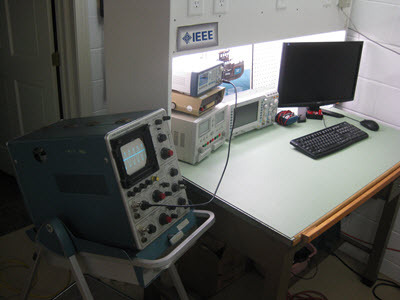 Too heavy for me to lift these days, but served me well in my PowerPC debugging days -- capture a bus error while monitoring voltage rails with 1Ghz sampling scope. My go to scope these days is a Keysight DSOX1102G. Signal Generator & Scope that makes rapid work of sweeping various parameters. In my laptop case my Saleae Logic 16 does the job. My first scope died its tube death when I was in high school. In Freshman year of college, I won a Tektronix scope in an auction for $5 (the opening, and only bid) that had been sprayed over in white paint. It was a monolithic scope- I think a 515. I lugged the scope by its carry handle a mile back to my dorm room. I cleaned it up, and it served me for about 5 years before it died its own tube-death. My sophomore year, I lived off campus in a basement. The scope was remarkably good as a heater. I loved the red glow of its power light - the characteristics of which I have not been able to duplicate. 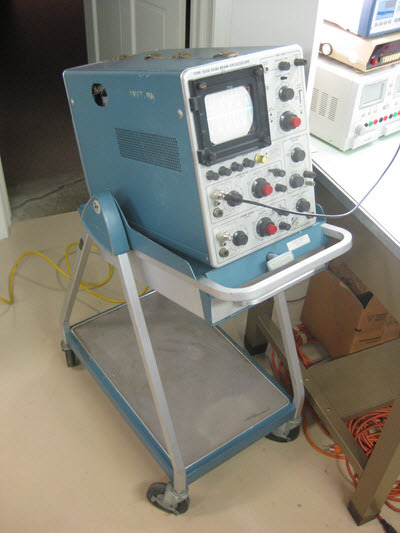 Now I have a few more Tek scopes- the first scope I used as an employed engineer, fresh out of college was a Tektronix DSA602A- huge, but great bandwidth, and was my first introduction to a scope that could do processing on its inputs. We used it as a receiver for a Radar! I saw one on Ebay a few years ago and picked it up. A pretty good digital scope- huge, and hasn't risen in price as much as other older scopes. 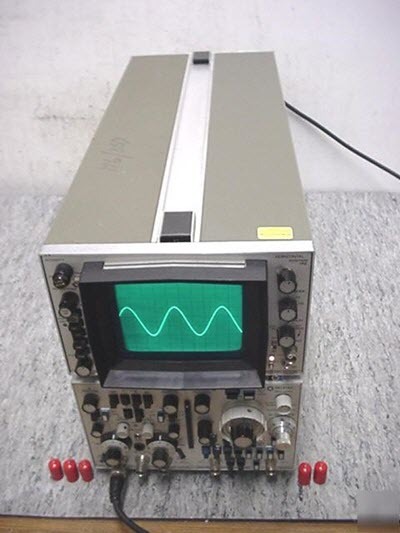 Of course, hearkening back to those days, the analog best scope we had was a Tek 7904A- When I saw one on eBay for a decent price, I picked it up. I also have a Tek 453A to keep me in the true boat anchor gang! Finally, a box from Mark Kaufman showed up on my doorstop a few weeks ago. 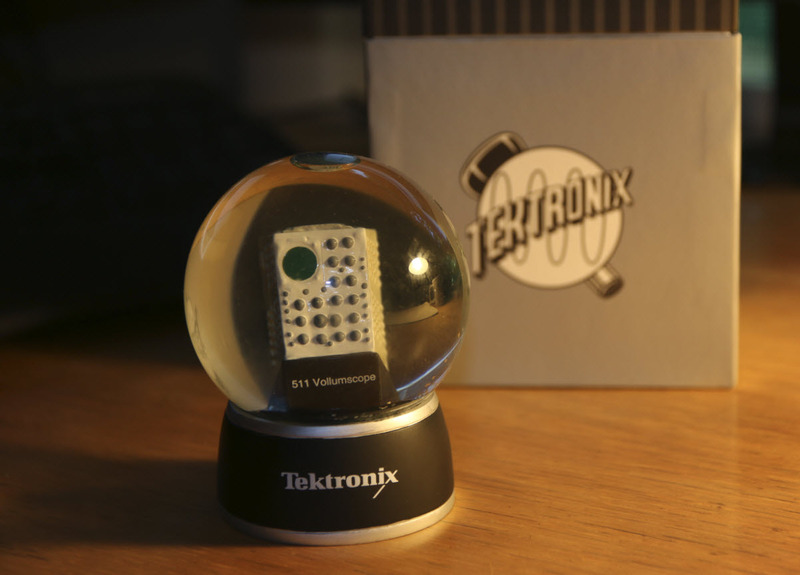 The scope in the snow globe is a Tek 511, their first product. Is this cool or what? 59% of projects are finished behind schedule; only 3% finish early. Schedules average 12 months. That's a little deceiving as 73% are 12 months or less, and 27% complete in under 6 months. The top three pain areas, by far, are debugging tools, schedule, and skill level of the engineers involved. Most important debugging tool? (Hint: read previous section of this Muse) The oscilloscope. Debuggers come in second. 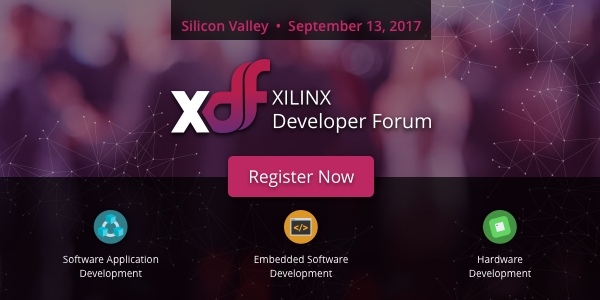 Some flavor of Linux dominates in the OS used in embedded systems. The only conventional RTOS that scores more than 5% market share is FreeRTOS (which is used in 20% of systems). That's stunning. In VDC's 2009 survey VxWorks scored 18% compared to this year's 4% score. Is 8 bits dead? Nope, but at 12% they represent a small part of the market. 63% use 32 bitters. Note, though, that these are design wins, and don't have anything to do with volumes shipped. Git (at 38% of the market) has finally overcome Subversion (33%) in version control. CVS is at 14% (down from 19% in two years) and all of the others are in the noise. Bandit sent a link to a comic about Action Item Man.